This coming Saturday, December 6, will be the 5th annual National Miners Day since its designation by Congress in 2009. The day was designated as a time to honor, as well as reflect upon the workforce whose work is so critical to the creation and maintenance of our nation. 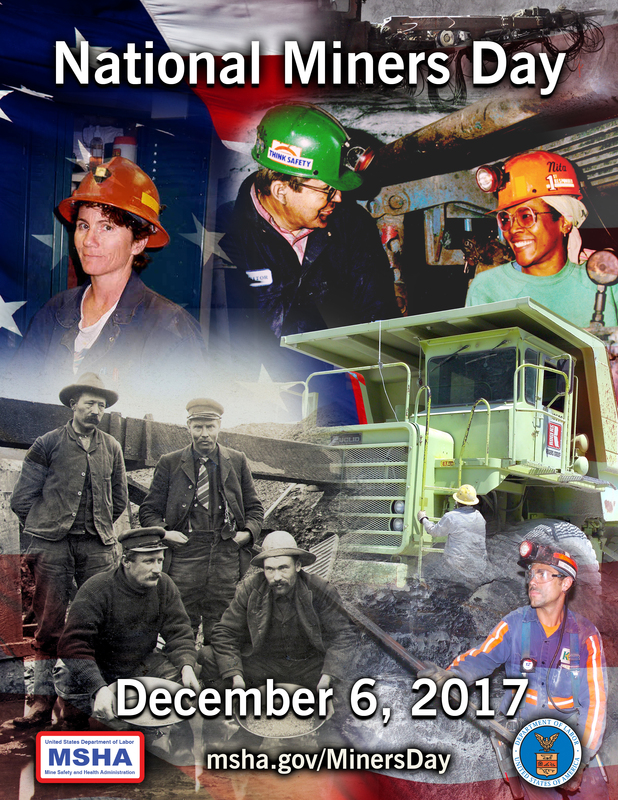 As we all know, the mining industry plays a crucial role in the high quality of life we enjoy and December 6 is a day to honor the men and women whose hard work makes it all possible. We encourage all our members to participate in this important day in whatever way you can. To better commemorate the day and honor the miners of yesterday and today, MSHA along with the Department of Labor created a multitude of educational outreach materials. You can click here to view the materials, which include a video, two poster, and a gallery of miner photos and sound bites.